Group portraits are tough to get just right – chances of someone in the photo blinking or looking the wrong way increase with the number of people in the shot. Scalado’s Rewind technology is a time-warping solution to this age-old problem. What Rewind does is take several full resolution shots instead of just one and then lets you combine people’s faces from these shots into one perfect group photo. Facial recognition makes this quite easy. It’s easier to explain by showing you the video demo. If the videos are to be believed, all this happens seamlessly before you even press the shutter – it’s like pre-recording but only for the people’s faces in the shot. If the camera records those images in its maximum resolution, we can imagine something like that is quite taxing on the mobile processor. Some sources suggest, the pre-recording info actually consists of five individual shots. Scalado is pretty mum on the details though (here’s the technology’s laconic page). How many shots are available from which to choose the best photo for each person? And how much processing power does this require? From the video, Rewind seems to be running on an Android-powered HTC, but is it an app? Scalado’s site doesn’t say – it might be something for phone makers to include in the firmware rather than a user installable app. Either way, there’s not even a mention of a release date (Rewind was demoed as early as this June, running on a Qualcomm dev platform). Anyway, here are some more videos of Scalado Rewind along with some of their other stuff. So, what do you think? Update, 12.08.2011: We were contacted by Scalado, who gave us some more info on the Rewind. Capturing images is done constantly (0.5-1 second between each shot, depending on the phone’s hardware), so when you hit the shutter key the most recently captured images are kept and some more are acquired after the shutter press. How many images in total are kept depends on the hardware and is currently set at 5 images before and 5 after you press the shutter. Even with today’s smartphone capabilities, Scalado are able to display high-resolution imagery in the viewfinder rather than a low-res preview as the camera does by default. With next-gen phones (those coming in 6-12 months), they’ll be able to capture 10-15 frames each second, giving you much smoother control. 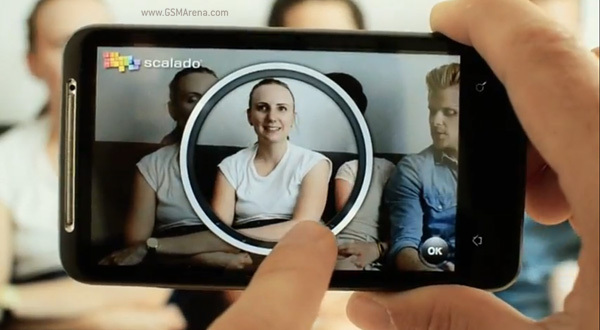 As far as who gets Scalado Rewind, apparently it’s an app but it’s targeted at phone makers to add into their software. While Android is the primary platform for Rewind, the code is platform-independent and can be used on any OS.